This event brought together healthcare workers from Plymouth and Cornwall. The event was a music intervention to facilitate communication with people who have difficulty using words to communicate. The intervention was designed based on key findings from the Beyond Words project and delivered as professional development for health workers (social workers, support care workers, nurses, doctors, educators, clinical psychologists, speech therapists). 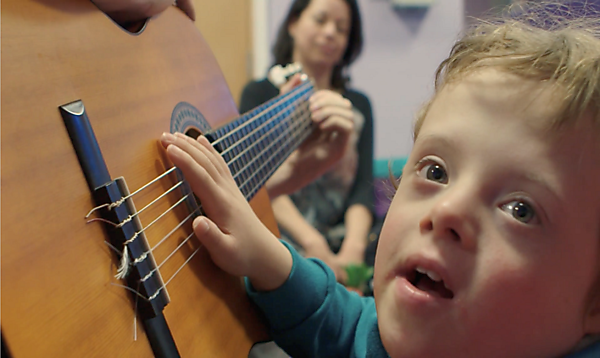 The session included a 20-minute presentation on key findings from the Beyond Words project and a 60-minute interactive music intervention tailored to healthcare workers to explore the use of music to facilitate communication, inclusion and wellbeing. There was time for discussion and feedback. No music experience or background was necessary to attend and all were welcome! Jocey is Professor of Education at Plymouth Institute of Education where she leads the Learning outside Formal Education research group. She has published widely in the field of higher education and lifelong learning. Her research monographs: 'Powerful Subjects: Are women really taking over the university?' based on her ESRC-funded PhD, and 'Learning Communities and Imagined Social Capital: Learning to Belong', which brings together a range of her research, have both been hailed as world-leading. She has led a large number of research projects funded including the ESRC, British Academy/Leverhulme, Joseph Rowntree Foundation and the Council of Europe. Her most recent research, including the Arts Council England-funded Beyond Words, focuses on informal learning in the arts, activism and nature. Claudia has worked for the University pf Plymouth as a research assistant in Human Geography and at the Institute of Education for the past four years. Claudia has extensive experience working with people at the margins, for instance people living in refugee camps or people at risk of exclusion in urban and rural areas in the UK. Claudia has a background in anthropology and international human rights law; she has lived and worked in South America, the United States, West and North Africa.